Just as second-hand smoke can have health consequences to those who don’t smoke but are around people who do, so too second-hand snoring can affect people who are in relationships with snorers. The Mayo Clinic in Rochester, MN, did a study of snorers and their partners, finding that partners were awakened an average of 21 times an hour—almost as much as the snorers’ 27 awakenings due to sleep apnea. 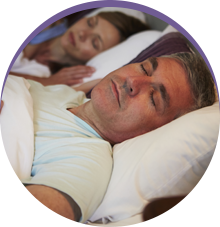 Furthermore, the Mayo Clinic’s sleep disorders center in Scottsdale, AZ, gave a quality-of-life assessment and sleepiness test to 54 confirmed sleep apnea patients and their spouses. Initially, spouses had the same quality-of-life scores as national averages. However, once a partner’s snoring and sleep apnea were treated, their spouses’ quality-of-life scores increased significantly. In addition, spouses’ sleepiness scores generally improved, as well. 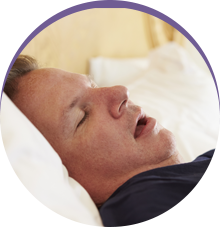 Dr. Fedosky and his team at Sleep Rehab treat both snoring and sleep apnea with an oral appliance called a nightguard. More often than not, sleep apnea happens when soft tissue in your throat blocks your airway; hence, this is called obstructive sleep apnea. As you try to breathe in and out, air vibrates the tissue causing that annoying and often loud snoring that awakens your sleep partner. 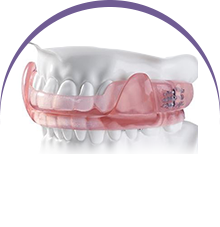 A nightguard shifts your lower (mandibular) jaw slightly forward in order to open your airway for easy breathing. This oral appliance is made of smooth medical grade plastic that fits comfortably in your mouth, so you can wear it night after night to ensure that both you and your spouse sleep well and are alert and productive during the day. If someone who snores frequently interrupts your sleep at night—or if you’ve moved out of your own bedroom to get away from the snoring—then contact Sleep Rehab in Garland, TX.